Guar Korma export and support to Guar seed & Guar gum prices. Reports are coming from different sources that early Monsoon arrival will be late and poor at the initial stage. It is the big concern for Govt and farmers as Kharif is major cropping season in India. Early rainfall leads to early sowing and early maturity of Kharif crop and early sowing of rabi crop. It means complete agriculture season will remain good and intact. If monsoon delays, then it will also impact on the performance of Rabi crop. Currently, guar seed is being traded around 3700/100Kg in interior location guar seed is being traded around 3500/100Kg. Farmers are not willing to take guar crop in the irrigated area. As opportunity cost of land is higher than guar seed production. 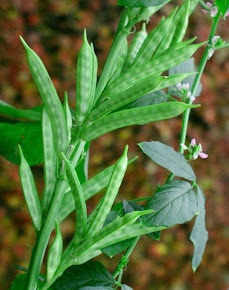 This year Guar has not given the good return on last guar crop production. One time it touched the level of 4800/100Kg but after it never gave any chance to profit. This year all the fundamentals, related to guar gum industry were positive, crude oil prices were higher than previous two years, oil rigs counts were increasing regularly. This year Guar korma was a major support to Guar gum industry. It is making guar seed processing industry profitable. After Guar gum powder and Guar gum split, guar korma has emerged as third major exportable commodity derived from Guar. There is the huge demand for roasted guar korma in the international market. After roasting indigestible material in guar korma become digestible. Protein content in guar korma also increases due to the roasting process. Roasted Guar Korma is generating good revenue for guar gum industry. As per today's price Roasted Guar Korma cost around Rs 3100/100Kg at factory unpacked. Guar seed processing industries are not running in loss, they are running in profit. 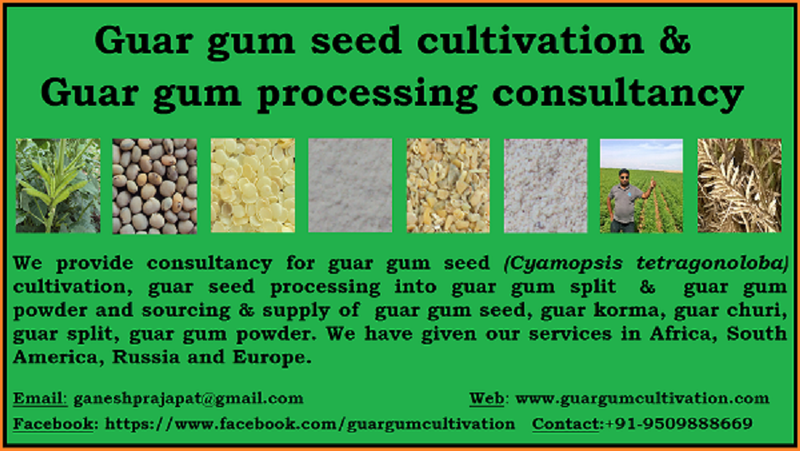 If the support of guar korma will continue then Guar gum industry can easily make profit. There is also the prediction of further price rise of Crude oil. Oil drilling activities in the USA will keep increasing. Fracking technology is being popular across the world and more shell crude oil exploration will start. If trade war between China and USA become wider then Indian Guar gum industry may benefit from it. Guar seed and Guar gum prices are being traded in the upward direction in local markets. Prices of Guar seed and Guar gum are quoted higher than Commodity exchanges. Future trading of Guar seed and Guar gum are weak due to poor buying and weak export demand. 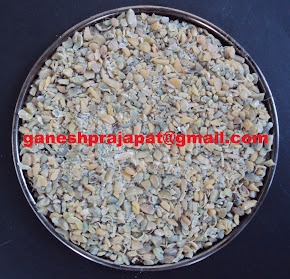 Good quality of guar seed is traded at Rs 3700/100Kg and average quality guar seed is traded at Rs 3600/100 Kg. Standard quality guar gum is traded at Rs 7600/100 kg. 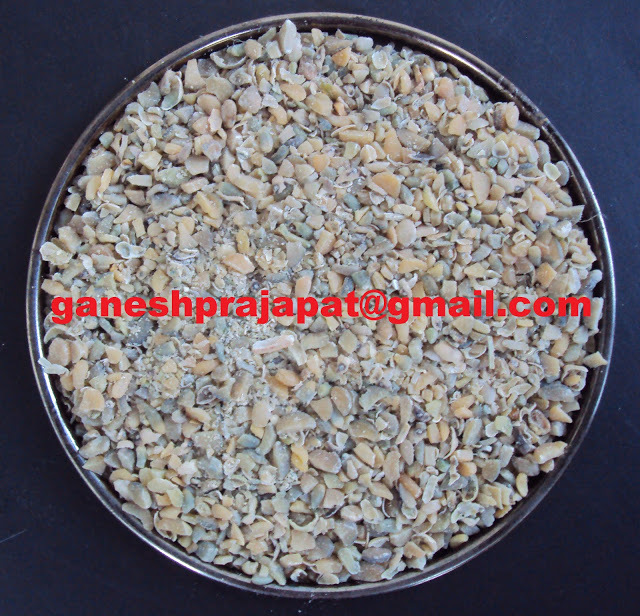 In interior location, guar seed is traded up to 3500/100 Kg. Guar seed is being traded weak in the future market. At NCDEX (National Commodity & Derivatives Exchange Ltd) guar seed-10MT is being traded at Rs 3665, 3822 lower by 0.34 percent or INR 12.5/100 Kg, 0.29 percent or INR 11/100 Kg with the open interest of 91420, 12810 for July and October month contracts. Guar gum is also being traded weak in the future market. At NCDEX (National Commodity & Derivatives Exchange Ltd) Guar gum- 5MT is being traded at Rs 7612, 7912 lower by 0.48 percent or Rs 37/100Kg, 0.52 percent or Rs 42/100 with an open interest of 91420, 12810 for July and October month contracts. Monsoon will be delayed in Rajasthan by one week as per current update by metrological department Rajasthan. Initial predictions of Monsoon will remain Normal. Guar is major Kharif crop in guar growing belt. Cotton, paddy is major parallel crop in irrigated Guar growing belt. At the current price of Farmers of the irrigated belt will prefer Paddy and Cotton over Guar. MSP of Cotton is around 4300/100Kg and MSP of paddy is 1500/!00Kg. In Rainfed area, Moong, Moth, Urad are the major parallel crop to Guar growing in the same period. MSP of Kharif pulses is also high. MSP of Moong is 5575/100Kg and MSP of URAD is 5400/100Kg. Guar crop is not included under MSP. This is last year of crop production before next Lok Sabha general election. It is also expected that Govt will procure agriculture commodities from farmers. Govt generally purchases cereals and pulses at MSP. Farmers will not go for guar cultivation in the large area. Monsoon is also expected normal so there is assurance of good crop production of other crops. Fracking activities are increasing in the USA. Trade-war between China and USA is growing so there are possibilities that Chinese export of Guar gum and another drilling chemical will face extra duty. This imposes of extra duty will benefit Indian guar gum export business. This is the start of the fiscal year in USA, new order of guar gum will start to come within one-two months. Currently, Crude oil is little low. OPEC is expected to cut more crude oil production. This will lead to price rise of crude oil. And Fracking industry will benefit from the price rise of crude oil. After 20th July guar seed and guar gum contract, there is no forward contract delivery up to next 90 days. NCDEX is major hedging instrument for guar gum and guar split exporters. Without delivery, It will be problematic for exporters to discover prices of guar seed and guar gum. Speculators will also remain away during this period. 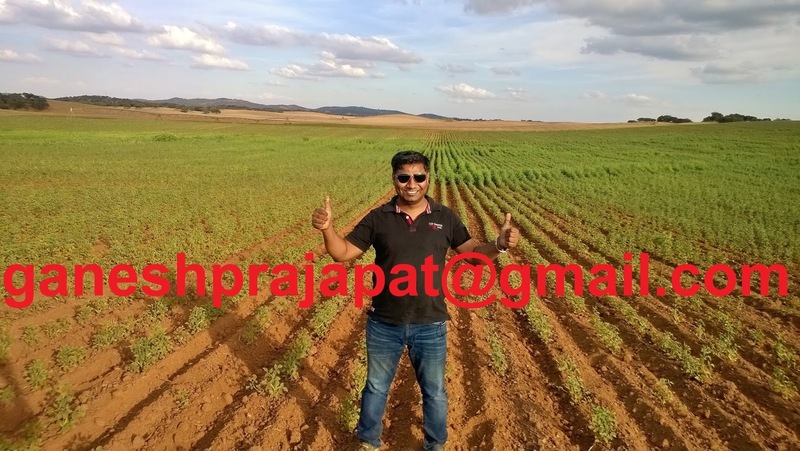 Overall this is beneficial that prices in sowing period are lower than in previous years. Overall gaur cultivation area will be lower than previous years. Produce of current crop production cycle will come in the month of November. Still, there are 5 months to go with last year crop produce. In near future, in next two months, there is not much up and down in guar seed prices. Guar gum prices may show the sudden effect of market demand. Will guar seed and guar gum prices keep falling ? Guar seed and Guar gum prices are going down and down regularly. Guar gum prices are affected poorly. 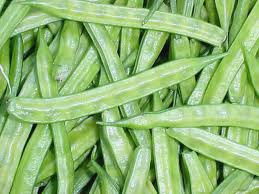 Prices OF Guar gum has fallen below the level of Rs 7500/100 Kg and Guar seed has fallen below the level of Rs 3600/100Kg. The situation is worrying to Guar seed and Guar gum investors, exporters and farmers. This Year Guar was started to Trade above 3500/100Kg level and once it reached near to 4900/100Kg level. This year Production of Guar seed was lower than the previous year, the demand for Guar gum is higher than previous production cycle. Export Guar gum is also higher than the previous year, currently, the arrival of Guar seed is also poor. 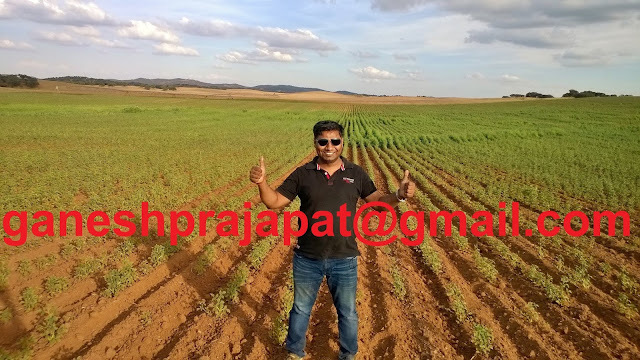 All the fundamental factors for guar business are positive. After that Guar seed and Guar gum prices are falling regularly. Meanwhile, some news is spread to justify the Guar seed and Guar gum prices downfall that supply of slick water chemical has increased as slickwater chemicals are cheaper than Guar gum. But it is not true, as the percentage of Guar gum / slick water chemical is total chemical is very low, that doesn’t make any difference at the current price level. As per news that supply of slick water chemical is at lower prices than Guar gum, even after this news India is exporting 30000 MT Guar gum per month. There is no change in demand due to slick water chemicals or any other alternates. Another news is spread that Monsoon is Normal. At the Initial stage, normal monsoon prediction doesn’t make any difference as the sowing of Guar seed keeps going up to the first week of August month. In the case of poor rainfall, it may affect but if predictions are normal than it doesn’t make any difference at the current time. As the new crop production cycle will start after 5 Months. The demand for Guar gum increasing regularly. New Guar seed harvest will come in market in the month of November. Still, there are 5 months to go with the current stock of Guar seed, to complete the export demand. No one knows the production of Guar seed in next production cycle. Still, there is the demand of 60-80 lac bags of Guar seed in next 5-6 Months. This year MSP of Kharif pulses are also high. Guar seed is not supported under MSP. Farmer will prefer to go for other Kharif pulses over Guar seed due to higher MSP. Cultivation area of Guar seed will shrink as MSP of other pulses are higher and current price level of Guar seed is also low. If current price level will remain low for two months then it is good for Guar seed and Guar gum prices in future. Generally, NCDEX works as price discovery and hedging tool for Guar seed and Guar gum. For next three months, there is no contract in NCDEX Guar seed and Guar gum. There are possibilities that Prices may respond to actual arrival in the market. Actual arrival of Guar seed in the market is very low at this time. Oil drilling rig counts are increasing in USA and Canada and that is the major positive factor. Increasing drilling activities will lead to higher demand for Guar gum powder. Guar seed and Guar gum prices are strong in the local physical markets. Prices of Guar seed and Guar gum are quoted higher than Commodity exchanges. Future trading of Guar seed and Guar gum is also expected to remain low with selling pressure at upper levels. Good quality of guar seed is traded at Rs 3600/100Kg and average quality guar seed is traded at Rs 3500/100 Kg. Standard quality guar gum is traded at Rs 7600/100 kg. In interior location, guar seed is traded up to 3400/100 Kg. guar seed is being traded strongly in the future market. At NCDEX (National Commodity & Derivatives Exchange Ltd) guar seed-10MT is traded at Rs 3579, 3637, 3788 higher by 0.48 percent or INR 17/100 Kg, 0.43 percent or INR 15.5/100 Kg, 1.32 per cent or INR 49.5/100 Kg with open interest of 37670, 71580, 3680 for June July and October month contracts. Guar gum is also traded strong in the future market. At NCDEX (National Commodity & Derivatives Exchange Ltd) Guar gum- 5MT is traded at Rs 7436, 7531, 7840 higher by 1.33 percent or Rs 98/100Kg, 1.33 percent or Rs 99/100, 1.3 percent or Rs 101/100 with an open interest of 13940, 50400, 1110 for June , July and October month contracts.